I am a sculptor who works both figuratively and abstractly. Usually I work in water clays. I fire sculptures in my 28” x 28” electric kiln so they become terra cottas —ceramic, literally “cooked earth”! In 2002 I began casting in bronze, at a foundry in Brooklyn, NYC. At first these were already completed terra cotta figures. Working at the foundry on my waxes, etc, and observing there, was fascinating. I was able to see more about why so many artists across time have loved to work in bronze. Two parts of work in bronze that particularly interest me are (1) working on the wax intermediary that is usually made as a step in the casting process, and (2) finishing and patinating (coloring) the surfaces of bronze sculptures. I began to work with bronze in mind, on new sculptures. 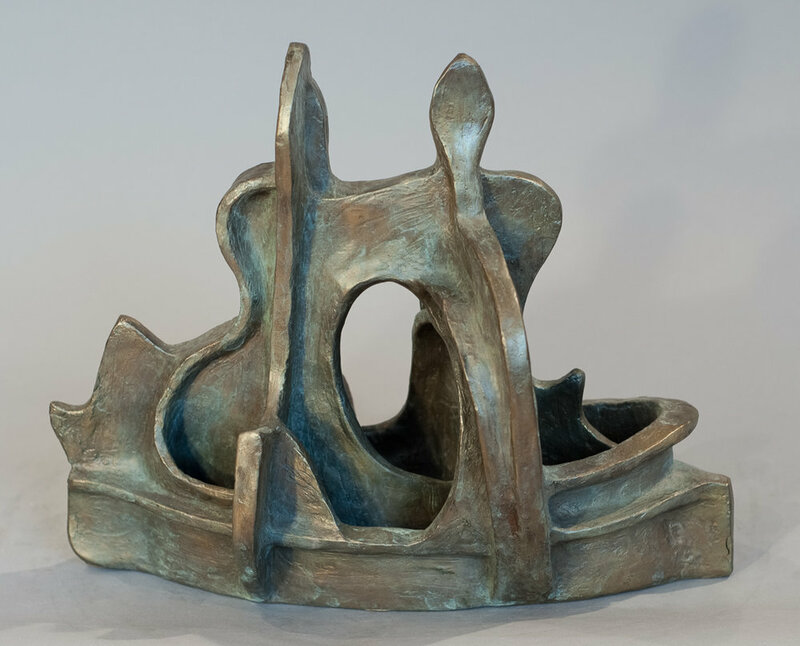 When I began casting in bronze I was interested in the “theme” of figures, especially women, in boats. Gradually this has changed into an interest in more abstract forms, sometimes suggested by figures and boats, but also by many other sources, including architectural elements — towers, walls, arches — and plants, rocks, and waves. Since about 2007 I have concentrated mainly on abstract sculptures. I also draw and work in watercolors. 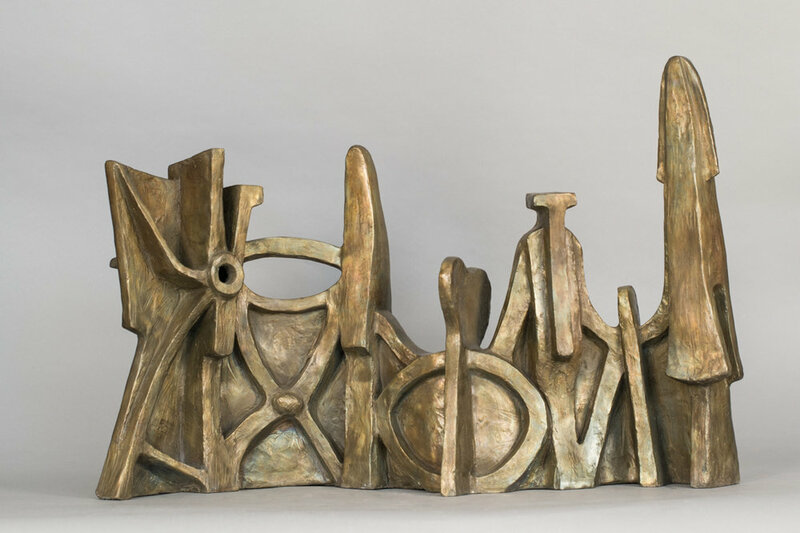 This work is part of developing images for sculptures — and vice versa. Whether I am sculpting the figure or working more abstractly, there are similar design issues, such as over-all configuration, scale, contrasts, balance (physical and visual), finish of surface, and color. Materials and technical problems, such as making secure armatures, are inherent in both figurative or abstract work. Above all, each piece must be itself. Whether it is a figure or abstract, there has to be first an idea where the piece “is going” — maybe after some trials. And then the piece has to be worked out, maybe changed and re-worked, until it arrives (I hope!) at its own clear personality. The figures cast in bronze are not just the same as their terra cotta originals. They are newer pieces, when realized in bronze. 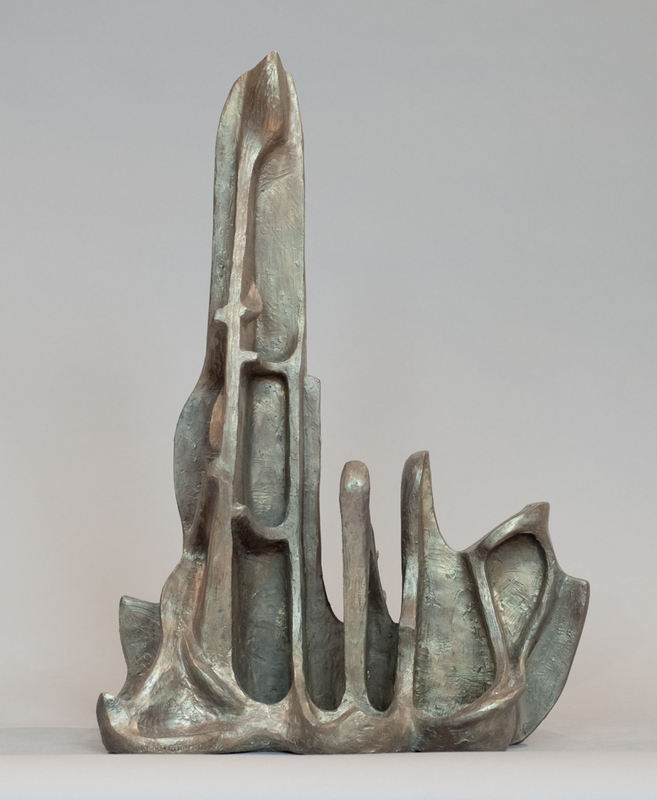 Each sculpture, representational or abstract, is its own journey.